Your taste buds will love you for visiting Island Spice and Wine in Avon, Outer Banks, NC. The wine selection is vast and pleasantly surprising, with numerous worthy selections from California and around the world. You’ll also find fine tea and coffee, specialty sauces, hard-to-find spices, imported olive oils and vinegars, cheeses, sweets, chocolates, gourmet snacks and many other things that will inspire a night of cooking. The store also sells sushi-making supplies, cookbooks, dishes and other kitchen-related items. Gifts and gift baskets are available. 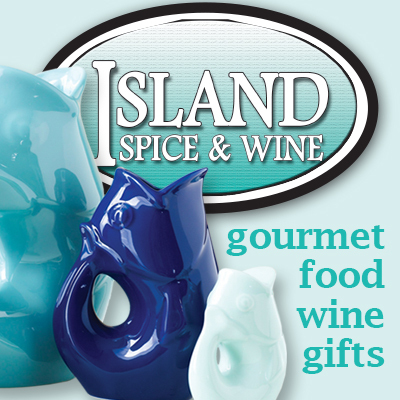 When looking for Avon shopping, don't miss this Island Spice and Wine. Personal Service is our Specialty!